First, I must start out by expressing my appreciation and empathy for anyone affected by the government shutdown. I’m so glad it is over and hope things move forward in a way to prevent that from happening again. Next up, what is 2019 likely to bring to the Real Estate world? One thing you’ll continue to see for sure is the pitches for new real estate models. Everything from “we’ll buy your house for cash” to “we use analytics to bring you buyers looking for your home”. Here’s the good news, choice is awesome. Here’s what you won’t hear in any of this advertising; these “new” business models have been part of what experienced Realtors, like yours truly, have been offering for years. Need a cash buyer for your home? I can usually find at least one that work like these new companies do. I can even partner with some of these new companies if it is the right situation for you. They offer to buy your house at a discount from the retail market value with the expectation of making some improvements to it and turning a profit when they resell it. Just about every year it seems I am helping at least one of my clients sell to such a buyer. (Typically, if the value of the house is under $600K the likelihood of my being able to get a cash offer is high.) They don’t want the hassle of putting their house on the market and are willing to sell at a reasonable discount to do so. I will say though, for those that are willing to invest time and some money, the return is often 3 to 5+ times what they spend. Doing some wise improvements before you sell a home is very profitable. Why do you think there are companies that want to do that with your house? As far as using analytics to find buyers for your home, I subscribe to a couple of services that advertise my listings based on analytics. I even upgraded my programs this year to be able to use feature specific advertising to match buyers with my listings and am seeing results. What I personally wouldn’t want is a business model based solely on that. I can’t even put a number on how many times I have found a home for one of my clients that never came across their radar based on what they initially had in mind for a home. Or how many I have helped by knowing exactly where to find not just the right house, but the right location for their lifestyle. Whether that be wanting an amazing open space setting, being located close to specific amenities or any other number of things; there is much to be said for having someone who either already knows you or takes the time to get to know you like a computer program never could. I have just as many experiences where I found the buyer for a client’s home or made the sale happen by being there when the house was being shown by another agent. Applying my listening skills, being an effective marketer and having a personal relationship and interest in helping my clients are key to getting my clients great results. The other major benefits you gain working with me is having someone looking out for you regarding how that home will work for you as your life changes and how it will perform when you decide to sell. 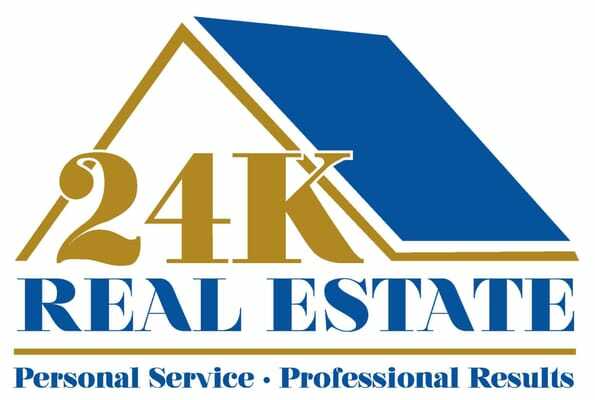 I am not aware of any program that will analyze a given house with both your current needs and lifestyle plus your likely changes (having kids, need to resell in the short term due to temporary job assignment, etc.) then run that through an analysis of how well this house will sell when it comes for you to do so. A third analytical process I offer; finding what I call a “real estate opportunity”. A home that, for whatever reason, is a special opportunity to save money or that can be perfect for you and even offer financial gain with minimal investment. Or perhaps determining the perfect window in time to sell that maximizes your financial gain or minimizes your inconvenience. In my own life I am all for taking advantage of things that make life easier and help me make decisions quicker. Time is so precious it is silly to not do so. However, isn’t the hope that you can find a process that gives you a perspective into all options efficiently and fairly? Especially when it comes to making a decision that can impact your quality of life emotionally and functionally for years and even forever financially? I shared this lengthy dialogue (the lengthiest ever and I apologize. Lol) to simply remind you that whatever intriguing idea you would like to investigate to buy or sell a home; I’ve likely "been there and done that” in a good way and will be happy to walk you through the pros and cons and provide whichever method works best for you. It’s important for you to know I am familiar with and capable in all real estate models. Important because you deserve a great experience and more importantly, someone at your side who is experienced and personally invested in your happiness and financial success.